The azure waters and vivid reef failed to grab our attention. As we gazed into the crystal clear abyss, the mayhem slowly unfolded before our eyes. Perhaps a sensory overload? The grey reef sharks now serving as a shy backdrop to their bolder white-tipped friends. 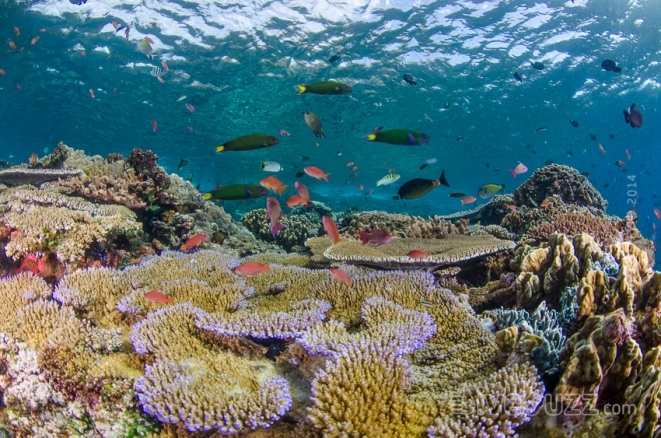 Hiding the stunning reef from our focus. Schools of bannerfish and pulsating anthias added the vivid splash of colour missing from our failure to focus on the reef. The neon blue scissor-like tails of a large school of red-toothed triggerfish complimented the azure waters. A bumphead wrasse levitated lazily in the current. Then the mayhem commenced. A loud “swoosh”, as 1000′s of fusiliers darted by in unison being hunted by a ravenous army of giant trevallies (GTs). The ocean almost appearing to boil in shimmering silver chaos. Then the dog toothed tuna moved in for the kill, exhibiting stealth like accuracy and incredible speed. And then, once again, there was silence and calm. Batfish slowly encroach forwards, almost ignoring our presence. 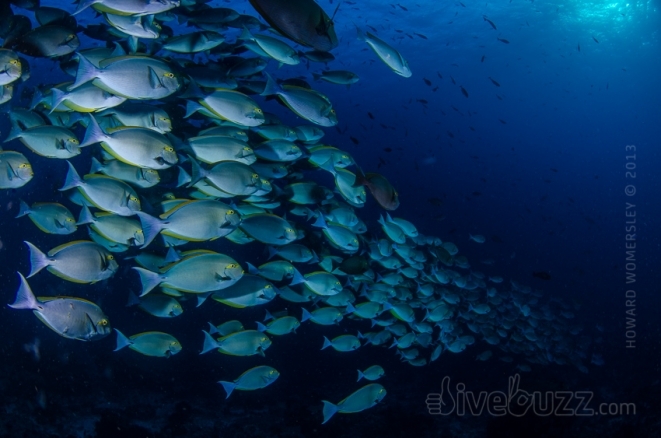 Teams of surgeonfish systematically ebb and flow with the movement of the ocean. And then the swoosh again. This time from behind. The GTs rapidly nailing the fusiliers. Another show of silver panic but this time, coming straight for us; leaving two diver shaped gaps as they dart by in an otherwise silver wave. Eighty minutes later, we deployed our SMBs before climbing back onto the zodiac with grins from ear to ear. 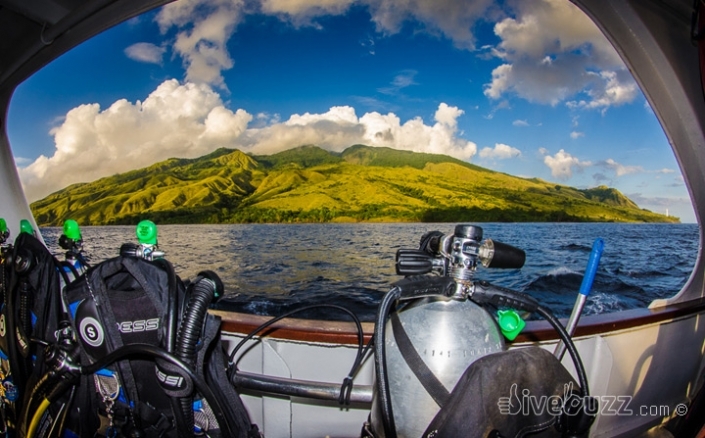 We had just experienced one of those very special dives, one that we will never forget. 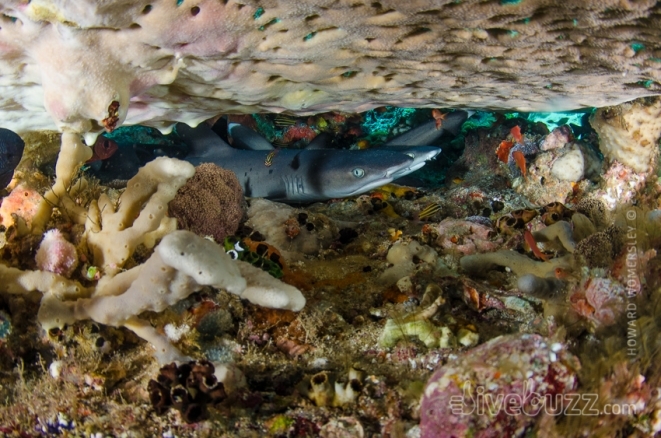 We were in Komodo, and more specifically a dive site called Takat Toko (Castle Rock) in the north of the national park. More commonly associated with the Komodo Dragon, Komodo is often referred to as “the land that time forgot.” With stunning scenery and spectacular arid hills, Komodo National Park was founded in 1980 to protect the endangered Komodo Dragon. Since then, the park expanded to cover not only the island of Komodo but also Padar, Rinca and 26 smaller surrounding islands. In 1991, protection was extended to the marine area and Komodo National Park was declared a UNESCO World Heritage Site in recognition of its unique biodiversity. 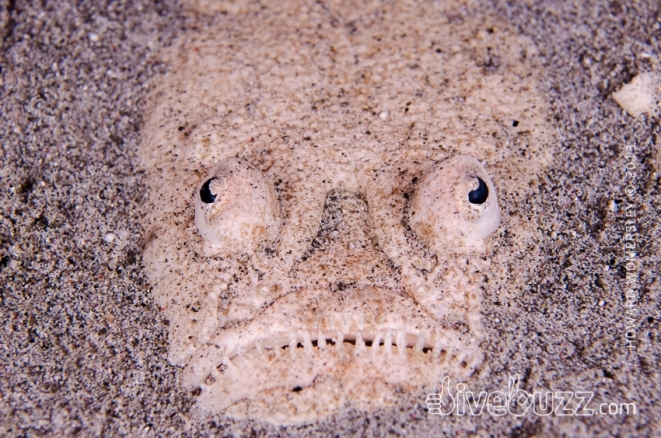 It is this unique biodiversity that is a major draw card for divers in the know. So what is it that is so very special about Komodo? 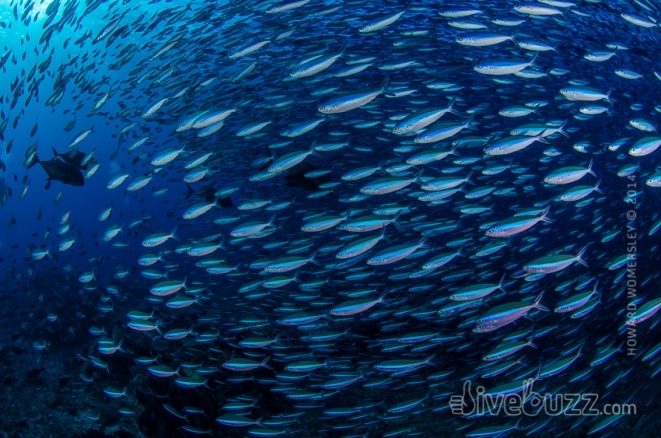 In a nutshell, quite simply, it is the stunning diversity of diving that is on offer. 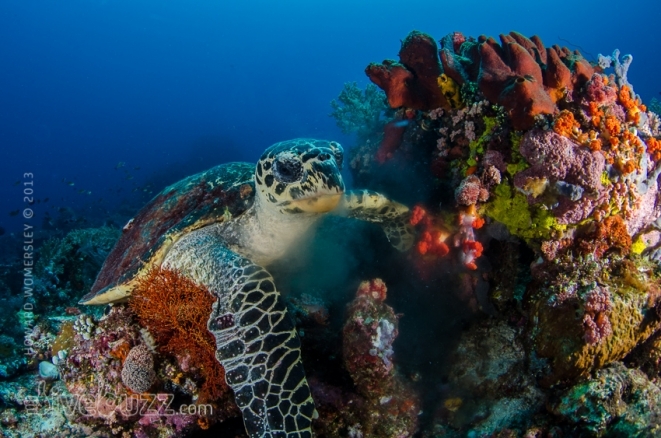 We completed 28 dives in our 10 day Komodo liveaboard dive safari and can say that this place is like no other in terms of what it has on offer. No two dives were the same. This place really does have it all and will not fail to please every diver fortunate enough to see her. 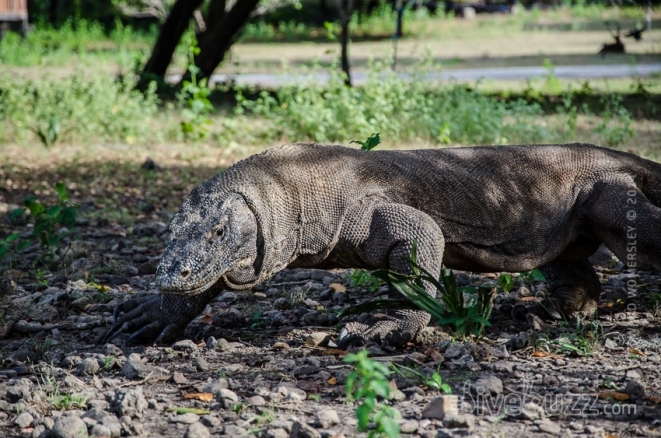 In planning our trip, we were amazed how many people stated that Komodo was not on their bucket list because it is “just macro”. This came up so much in conversations that self-acclaimed “big-stuff” addict J9 was getting rather worried! So categorically speaking, Komodo does have superb macro and the density and variety of critters that we saw on our trip was mind-blowing. From zebra crabs, coleman shrimp and pygmy seahorses to decorator crabs, squat lobsters and rare pipefish, you simply cannot fail to be impressed with the macro diversity on offer. Add to this the superb “big-stuff” encounters, from sharks and large fish aggregations in the north, to the manta rays in the south. 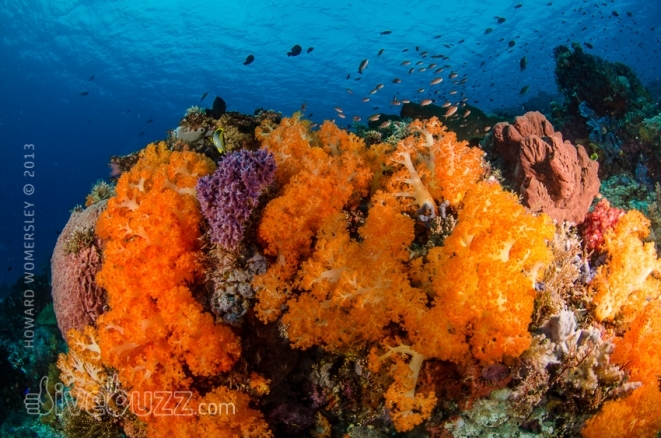 Then mix in reefs carpeted in crinoids, sponges, sea-squirts and pristine hard corals. Finally top off with quite simply some of the most vibrant soft corals you can dream for and you should start to get the picture! Quite simply, in terms of diversity and quality, Komodo is hard to beat. Hot Rocks - Off the magnificent Sangeang volcano, north of Komodo Island, Hot Rocks is aptly named for quite literally its hot to touch volcanic rocks and volcanic gas bubbling from the black sands against a backdrop of vibrant fans, beautiful corals, anthers, nudibranches and pygmy seahorses. Takat Toko – Castle Rock. Just off the northern tip of Komodo Island, Castle Rock has ripping currents and nutrient rich waters make for a great opportunity to hook yourself into the reef and watch the hunting sharks, GT’s, barracudas, mackerels and chaos. 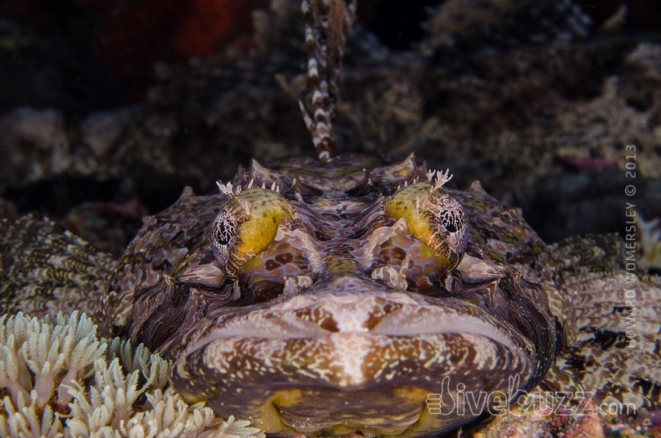 Batu Bolong – On the north eastern side of Komodo Island, and perhaps our favourite dive site. Quite simply stunning, pristine reef with millions of brightly coloured anthias, turtles feeding on colourful sponges and napoleon wrasse mixed together with deep walls, and some funky down-currents. 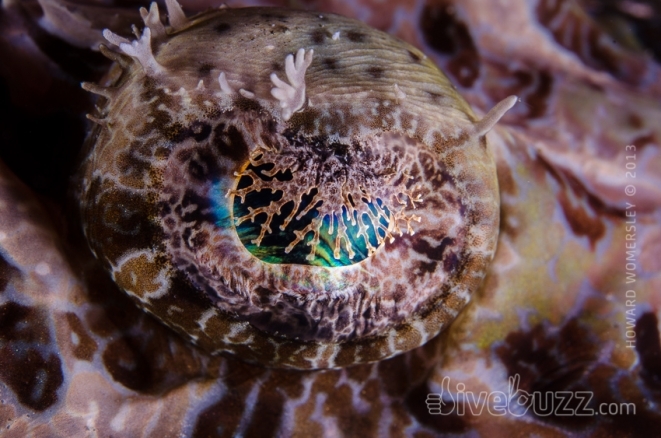 Pink Beach – The most colourful and stunning night dive ever. Basket stars, sea apples, bobtail squid, spanish dancers and lots, lots more. Cannibal Rock - Horseshoe Bay, Rinca - Rinca is an island to the east of Komodo Island, and the aptly named Horseshoe Bay is on it’s southern tip and formed between Rinca and Nusa Kode. Rinca is also home to the famous Komodo dragons, and Cannibal Rock gained it’s name from early visitors witnessing a Komodo dragon feasting on their own kind on the nearby beach. A southern seamount with lower visibility at the time of year we visited, but famous for its densely packed hard and soft corals, crinoids, critters and invertebrate life. 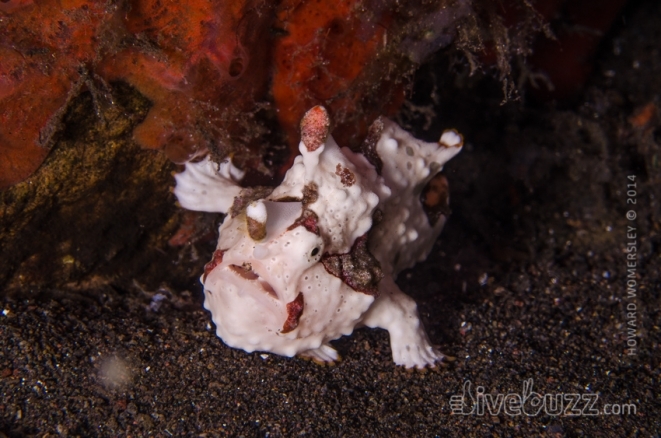 We saw many critters including fire urchins with their resident zebra crabs or pairs of coleman shrimp, as well as pygmy seahorses, tiny lady bugs, magnificent corals and equally magnificent down currents! Manta Alley – Colder southern waters rip through an alley formed between Komodo’s southern tip and the smaller island of Tala making for some superb manta feeding action. With several cleaning stations also in the vicinity, you are almost guaranteed some manta interactions. 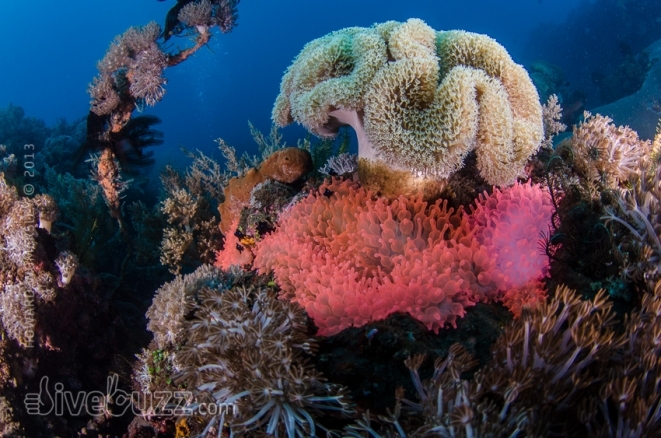 Mantas or no mantas, this site has a stunning diversity of hard corals and invertebrates. 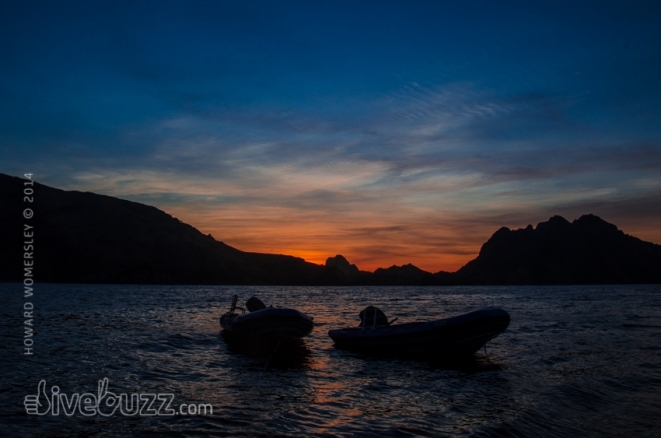 Three Sisters – Padar Island – A superb wall dive on three pristine pinnacles. Red toothed triggerfish tails protrude from the steep pinnacle walls, alongside beautiful, invertebrate laden whip corals, soft corals and abundant fish life. Worth the colder water! Shotgun (El Toro) – Drift dive through the passage between the islands of Gilli Lawalaut and Gilli Lawa Darat in the north of Komodo National Park. A narrow passage which, in the current, “shoots” you through the passage! We saw plenty of whitetip reef sharks patrolling, schools of snapper, sweetlips, turtles and lots more. 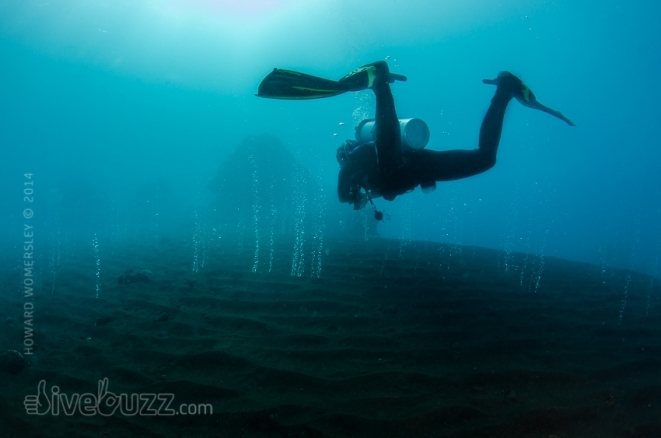 Strong currents + cold nutrient rich water = great diving! As you can see from our dive site overview, the area is renowned for strong currents, bringing in colder, nutrient rich waters that in turn support an incredibly diverse ecosystem. This ecosystem changes from the north to the south of the park. In the main dive season, (May – November) the north (including Castle Rock) is renowned for it’s clear warm waters. This area showcases vivid hard and soft coral reefs and an abundance of fish life. In the southeast, colder water upwellings around the island of Rinca ensure some spectacular biodiversity. In these colder, nutrient rich southern waters, whilst the visibility is lower during the time of year we visited, the upwellings provide perfect conditions for filter feeding invertebrates and some of the most colourful soft coral night diving experiences you could hope for. In the south tip of Komodo island lies the famous “Manta Alley” where strong currents are pushed between two rocky outcrops providing the perfect feeding conditions in what can only be described as a manta gym. 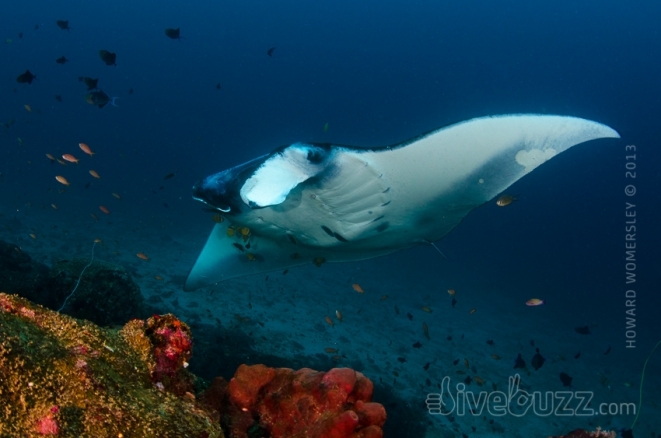 Here we saw 7 of the largest mantas we have ever seen feeding in the ripping current. The mantas elegantly winging stationary in the current as if on a manta treadmill whilst we were looking slightly less elegant, being hooked into the reef getting violently thrown forwards and backwards in the surge and current! Also at this very special site, several cleaning stations exist with mantas circling as they each get cleaned by an array of cleaner fish. With strong currents and often unpredictable down currents, the area is not for the faint hearted and certainly not for the novice diver. As always, a great operator, who knows the area, changes dive plans based on conditions and currents and thoroughly briefs each and every dive as well as your personal dive practices is the key to your safety. 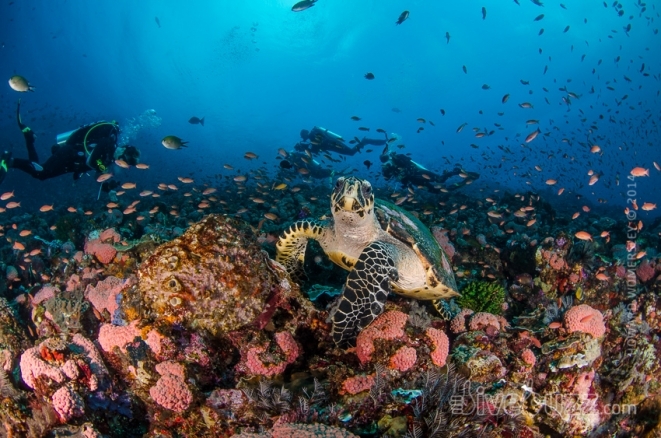 At DiveBuzz, we always research our trips thoroughly and as a result, had chosen well, diving with the excellent Mermaid Liveaboards aboard Mermaid I on their 10 day liveabaord trip from Bali. Komodo is extremely remote meaning that in the case of DCS or any type of emergency, you are a long way from medical attention, regardless of how much insurance you may have. A great operator, with appropriate amounts of emergency oxygen, medical supplies and professionally trained crew is worth the investment. Despite National Park protection and UNESCO World Heritage listing, Komodo, like any marine sanctuaries, is not without its problems. Renowned for its biomass, some local fisherman, not benefitting from the tourist dive trade, have, on occasion, taken to illegal and destructive fishing to make a living. Explosive fishing or “dynamite fishing” is a technique where fishermen use fertiliser based homemade explosives to kill fish and in doing so decimate all life and reef in its path. 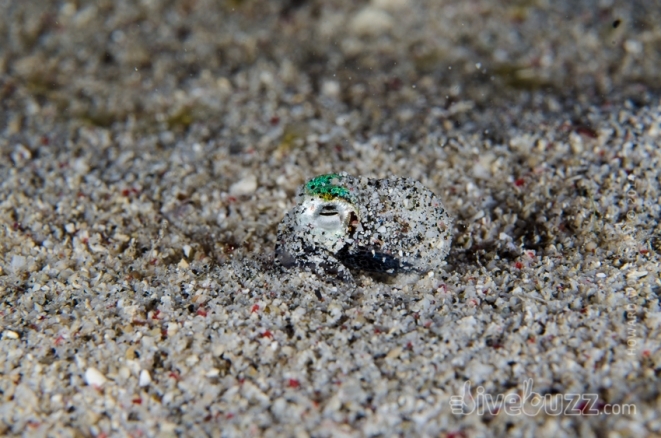 We did witness the sad reality of this on some dives with pristine vibrant reef bordering areas of destruction, although nobody else even noticed this. This should certainly not deter you from coming and unfortunately no reef is without problems or potential stressors. The liveaboard operators do try to support the local economy by visiting the islands, purchasing sustainably caught squid from local fishermen, allowing locals to peddle their wares by visiting the vessels via boat and also providing food to the locals. 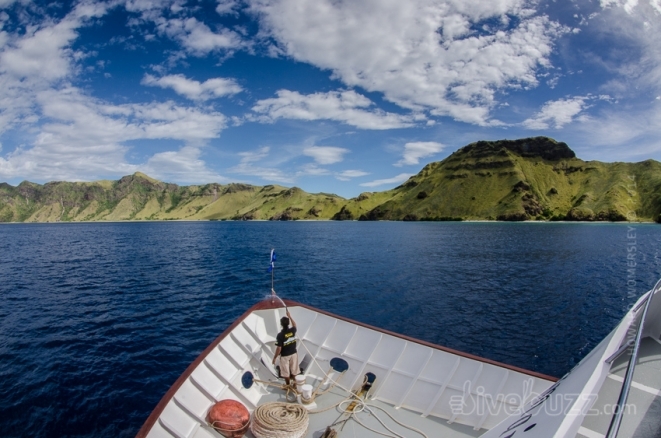 Komodo National Park still remains one of Indonesia’s, and in fact the world’s, most spectacular dive destinations. Recently, the Indonesian government announced that manta rays within the archipelago will be protected from fishing and export, forming the world’s largest manta ray sanctuary. A positive step forward in conservation and recognition that manta rays are worth more, from a tourist dollar perspective, alive than dead. There are few places like Komodo on earth. Such rich oceanic waters, such vibrancy, such diversity. We feel truly privileged to have experienced this. We will be back! Who wants to go?